Katy Perry and Capital Cities will be teaming up for one of the hottest concerts of the summer in Boston. The pop star, Katy Perry, will headline 2 shows at the TD Garden in Boston, Massachusetts. KatyCats from all over New England will be flocking to the TD Garden for these concerts. The first show sold out so quickly, they decided to add a second show. Katy Perry’s newest successful album, Prism, will be the featured material on this tour including her smash hit, “Roar”. 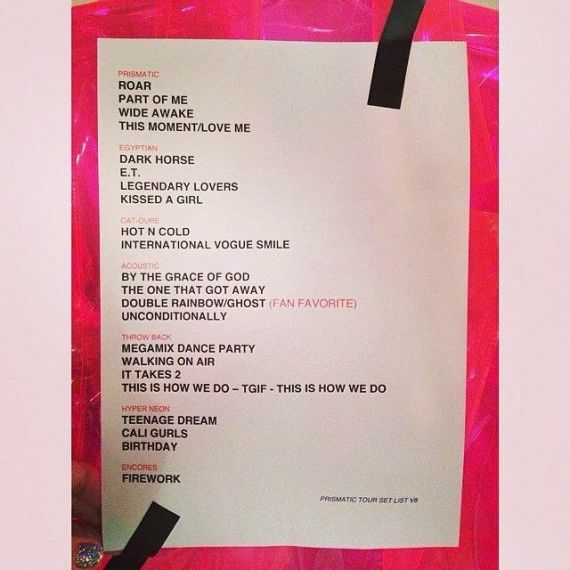 Other popular songs will most likely include “Dark Horse”, which Perry performed at the Grammy’s in January as well as some other great songs from past albums. The Prismatic Tour will be a world tour which will include Europe, North America, Australia and possibly South America and Asia. Come see Katy Perry live in Boston this summer! More tour information and photos can be found on this Katy Perry Facebook fan page. It certainly was an unusual performance, but Katy Perry rocked it! During the 56th Grammy Awards last night Perry performed a surprisingly dark version of Dark Horse with Juicy J. 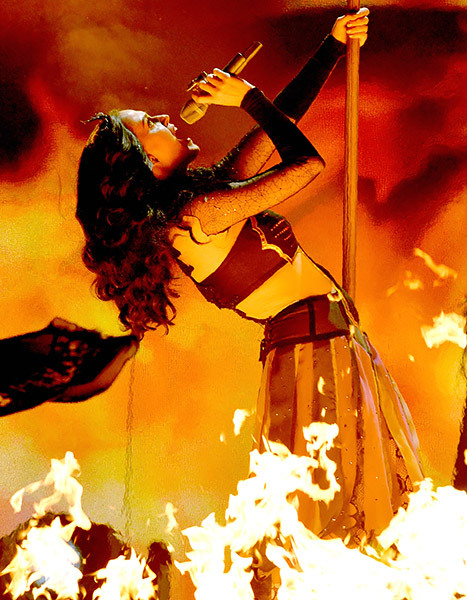 During the show Katy danced against witch’s brooms like it was a dance pole and at the end a circle of fire surrounded surrounded the singer. The dark performance was inspired by Stevie Nicks of Fleetwood Mac. Katy Perry was nominated for Song of The Year and Best Pop Solo album for “Roar” Katy has just released new dates to the Prismatic World Tour and Katy Cats are thrilled at more chances in seeing Perry perform live. More than 2,000 students at the Lakewood High School in Lakewood Colorado squeezed into their gymnasium this morning for the opportunity of a lifetime. Singer Katy Perry took the stage for a special concert for the winners of the Katy Perry Roar contest. The singer took the stage in a Lakewood High outfit along with the background dancers and sang her heart out to her teenage fans. Perry was presented with a Lakewood High School letter jacket and also a cake to celebrate her 29th birthday today. Katy Perry Prism Tour information and details will be announced sooner than you think so be ready Katy Cats! Katy Perry’s “Prism” Album Released To Rave Reviews! Next Stop: World Tour 2014! Katy Perry is off to a fantastic start with the release of her new album “Prism” which dropped today. With her number one single “Roar” still racing on the charts, Katy Cats now have the chance to hear the entire album. It’s only a matter of time before “Unconditionally”, “Birthday” and “Love Me” see some major radio air play and send these singles up the charts as well. And it wouldn’t be a sold Katy Perry record without some fun, “This is How We Do” takes care of that and more! With this new album you will hear a little bit of everything including power ballads, fun dance tracks and of course some deeper music which Perry talked about long before the album was completed. Lyrics about heartache and loss came during a time when she was divorcing from then husband Russell Brand. Without a doubt this has been a much anticipated album, and it delivers! The announcement of the Katy Perry Prism World Tour 2014 will be made soon so be ready Katy Cats!